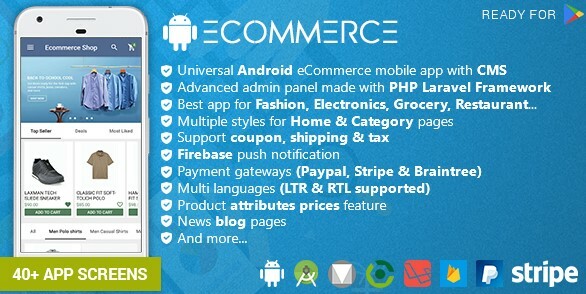 Android Ecommerce is complete mobile app solution for android with Advanced Laravel CMS. You have variety of ready made ecommerce pages to create your mobile app. It’s best app for any type of store like Fashion, Electronics, Grocery and Restaurant. Either you are store owner or developer, it’s best app for faster mobile app development with low cost. We provide complete support and also provide customization & installation services at reasonable price.